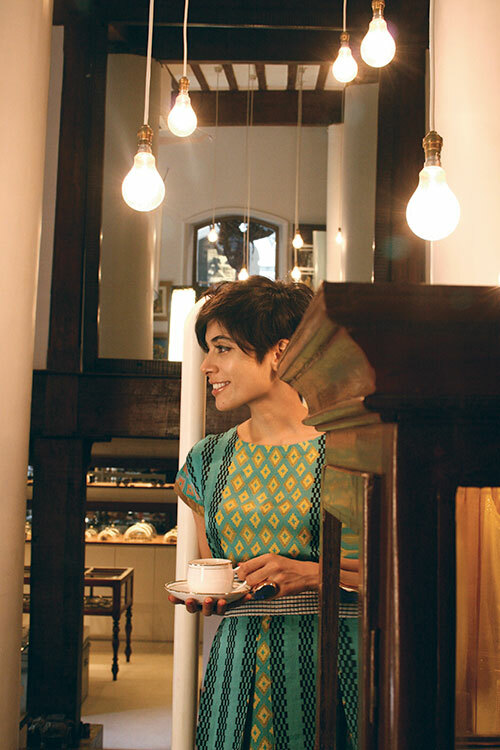 Printed dress, by Anupama Dayal. 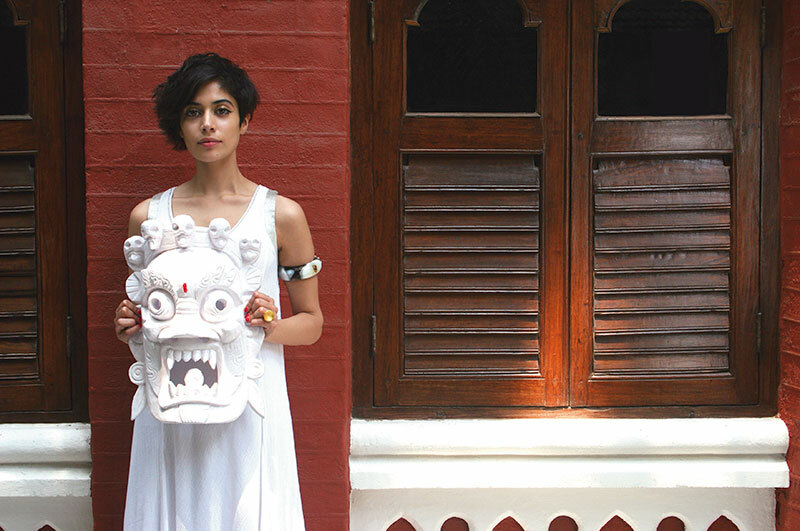 Floor-length white dress, by Kiran Uttam Ghosh; silver armlet, by Nomads. Blue dress, by Gaurav Gupta; pumps, by Marc for Marc Jacobs; black opal ring and glitter bangles, by Cream. Yellow chiffon dress, by Namrata Joshipura; ring by Cream; peep toe pumps, by Christian Louboutin. 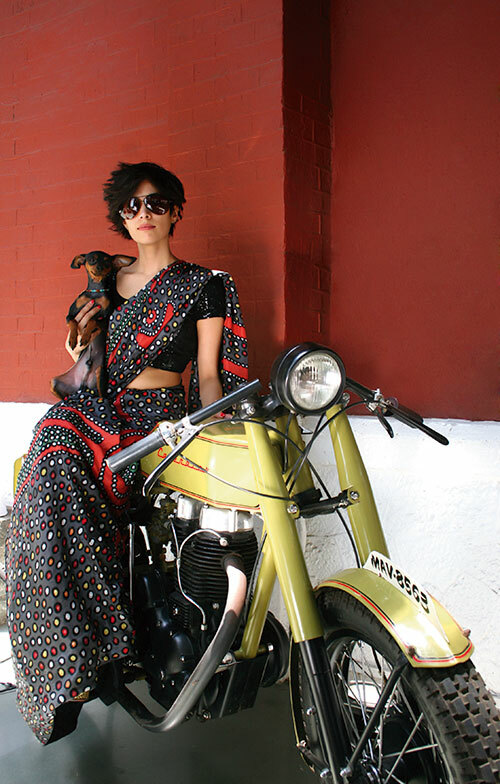 Printed sari and sequinned blouse, by Sonam Dubal; aviator sunglasses, by Chrome Hearts. Black and white tie dye dress, by Aparna and Norden Wangdi, for Freefalling; silver tubular armlet, by Nomads.